goscuter1 RE: Winmail.exe x 2 :donotwant but BUILTIN Admin cannot delete. I mean, this installation is so fresh, almost all of the 26 programs are Microsoft-related. And most of them I don't really want as I'm kinda getting the impression they're Microsoft's way of saying "we're incompetent, what are you going to do about it". Adobe Flash ActiveX (required by IE). Adobe Flash NPAPI (required by IE). Java Console 6.x (required by IE). The rest are like PSI, some Microsoft SysInternals programs which show up concerning information, and some AV stuff, Chrome and Firefox 4. I don't even know what most of those Microsoft programs do? That's not entirely true, of course. I know MSSE and WinDefender are as easily patched by malware as I'm sucked in by eyelash fluttering. And I know for a fact that Malicious Software Removal Tool has never removed anything in it's entire existence. At least, I've never seen any evidence of it doing so. And we're talking about systems so infected, it's almost laughable. But MS Malicious Software Removal Tool trying to find malware is rather like a cop in Bangkok, where prostitution is illegal and yet, 1,000,000 innocent victims are prostituted in open daylight. Strange that they just keep missing each other...perhaps...just perhaps? Because they're working together? I wonder if it's related to these automatically installed "Run Without Permission" Add-ons gifted to users by Microsoft? All set by default to Active. All set by default to * all websites. 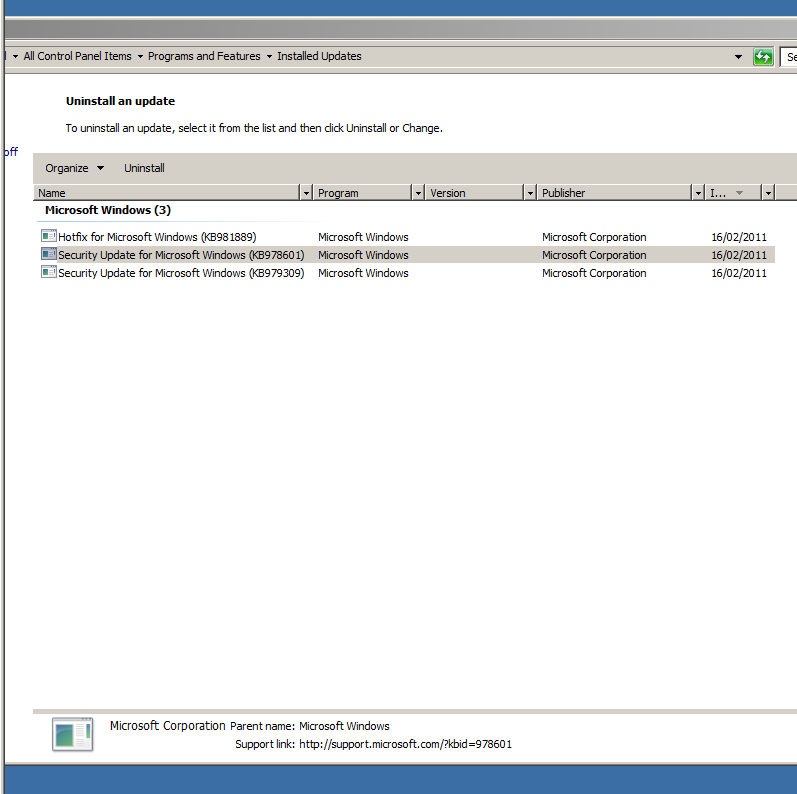 Another PSI question which is almost certainly related...I just noticed I had two (2) "Actual Install" versions of SysInternals "AutoRuns" application. I had only installed one, so I investigated. Curious, mostly about the IE5 part of that, I tried to access this Healthy installation I did not not install, but which is one of the 26 listed in my PSI 100% Secunia System Score list of Microsoft excellence. Rest assured, I've chased far too many of those geese to be so foolish as to bother chasing the 10347th. There are no answers (or geese) at the end of that road, I am unfortunately far too well aware. For the record, stuck on repeat, the Microsoft Windows Malicious Software Insertion Tool Apr 2011 just reported everything is dandy! 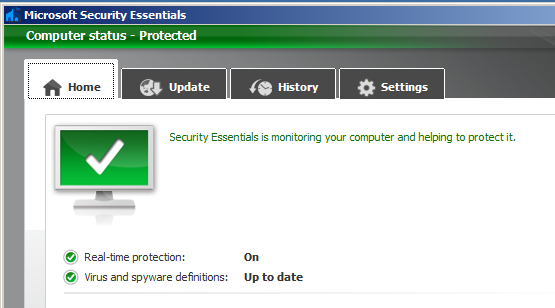 At least Microsoft Security Essentials never lies like their rogue colleague-in-crime, who lies gratuitously. Maurice Joyce RE: Winmail.exe x 2 :donotwant but BUILTIN Admin cannot delete. Why do U not write a sensible thread that helpers can read without all the total rubbish,side issue & waffle. What EXACTLY do U want help with? To date some of what U have written is factually incorrect. If there is not a reasonable response from U within the next hour I will delete this thread. My apologies Maurice, I try to keep my spirits up with some light-hearted gallows humour. Because I'm walking towards the gallows and have been for 9 weeks. Please show me where I have posted something factually incorrect? And I will provide you evidence which led me to make the assertion. You must also forgive me, I've been sleep-deprived for 9 weeks. But I have not lied in 9 years. Not once. Here is two for a starter. Windows does NOT require JAVA to work. Genuine Windows 7 DOES NOT come with Windows Mail as part of the install. If U hate Microsoft/Windows that much purchase an Apple Mac. This Forum is to help people who have difficulty with clearing vulnerabilities having used OSI,PSI & to a lesser extent CSI to secure their PC. General help is available from volunteer helpers when the request is reasonable. I go back to what I said - Cut out the waffle & tell us exactly what U want help with. I was too incensed by the implication that I would post lies, to note that you made a kind offer of assistance. Thank you. I would like to control my own computers. I would like the BUILTIN Administrator account to not defer to senior Administrators. I would like hackers out of my systems. I would like it if Microsoft Windows NT versions were not silently deployed on my systems whenever I low-level format and attempt to install Genuine Advantage Windows 7 Ultimate. I would like it if, when SFC finds a million corrupted files and integrity violations, and corrects them...for WFP to not simply recorrupt them all moments later by virtue of the fact Microsoft is so stupid they cannot understand the nature of the question "WHO GETS TO DECIDE WHAT THE CORRECT SYSTEM FILES ARE?" when there are conflicts between integral MS Windows system operating files. And your help, if I may impose upon you in requesting it? I know this. But downloading Microsoft Security products does. I don't believe I ever claimed that it did. I believe that's the point I am making. I have difficulty clearing vulnerabilities having used OSI, PSI (not sure how to use CSI, sorry) to secure my PC. 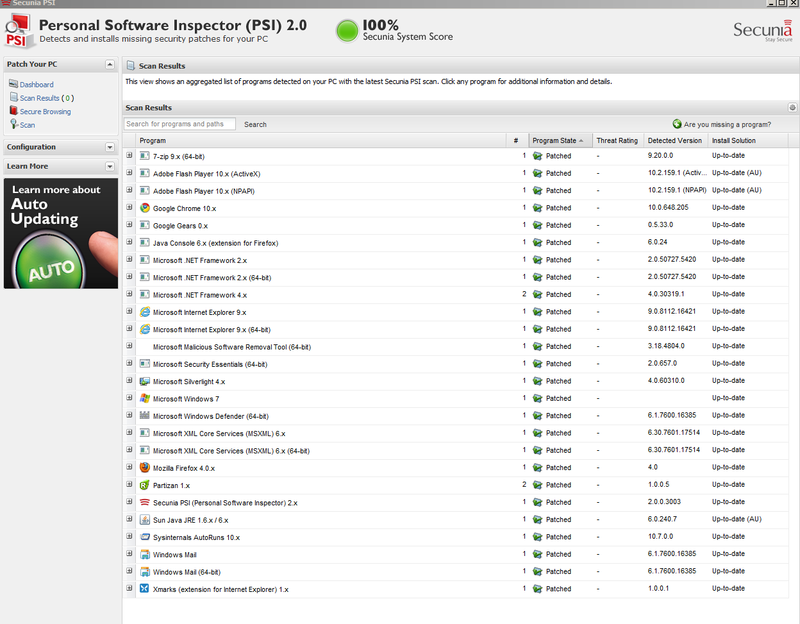 Partly, because PSI is INCORRECTLY giving my PC the Green Thumbs Up 100% Healthy Score. Which - makes this a PSI problem. But I have been trying to be diplomatic. After all, I'm requesting help and I'm desperate. PSI is doing no such thing. All it does is read the meta data on your PC matches it to their database (which is accurate) & Microsoft & presents a report. U are 100% secure FULL STOP. What evidence would you like to see? I have thousands of screenshots. And you know what, I'm frankly a bit tired of being insulted by people trying to defend their software programs with claims that I am lying. Especially when I can - oh - post thousands of screenshots of evidence? I know your type. You'll claim my writing style confused you, when I am a professional writer who is writing poetic prose despite being UNDER THE PUMP and endlessly insulted by people who are lying. Sir, you are lying. What evidence would you like to see, for me to prove it? The reason I ask, is that if I post ALL of the evidence, it goes for thousands of pages. Which you will then use as an excuse not to look at it. Let's start with one of the earliest breaches, shall we? So your clean install of Windows 7 is compromised by windows update? What hotfix in particular? It was. With this particular one below, only once (but the Hotfix issue was occurring with different Hotfix's multiple times during my 40 or so reformat, Genuine Advantage Win7 Ultimate 'clean' installs). This one was on a DBAN'd hard drive, and after a few MSSE (patched, of course) clients were FORCED downloaded onto my PC by Windows Update automated installs. They were patched with a Service that was impossible to Stop or Disable. And it prevented all other AV solutions from being installed. So before this instance below, I very consciously clicked "NO" when given the option to download Windows Updates during the clean installation. I almost fell off my chair when, the second I went online, even though it had been deactivated, Windows Update started automatically downloading Security Updates which seemed harmless enough? (except for the fact that Windows Update was deactivated). Then I saw a Hotfix and couldn't believe it. I Googled the command line. Not only did my fresh GenAdvantage OS install not possibly HAVE any of the 3 problems to which it addressed, I had never even heard of WUSA and certainly did not wish to deploy Forefront Endpoint Protection which I'd also never heard of. In all honesty, and no thanks to this industry's 'experts', I didn't even comprehend the nature of the word "deploy" until a month later; when I figured it out myself looking at cbs.log files. So frustrating that if I only knew a tiny bit, and understood the first thing about Windows server deployment (the thought had literally never crossed my mind), I would have recognised from Googling that command line that I didn't want my systems to be silently 'protected' without my authorisation using Forefront Endpoint Protection - and I could have saved 2 months insanity and 5 figures of $ right there. But all I knew was that a dozen Google hits was very odd, and forwarded it all to Microsoft asking what to do. And posted on forums, where 'experts' pretending to have a clue, simply ignored it (and the MOUNTAINS of other evidence I submitted) because that's what Windows 'experts' do when they don't know squat. They say it's fine. Or they go silent. It's despicable. Are you one of those experts Sir? I hope and pray you are not. I hope desperately you have character and dignity, where others do not. I have copied this total thread. My intention is to delete it. U can appeal to Secunia if U feel U have been unfairly treated. And may I ask Sir, are you an employee of Secunia? Because if you are, you will already have my logs! Would you like an API, if that screenshot was too much trouble for you to look at closely? The screenshot that tells you I have two programs which are listed as HIDDEN PROTECTED WINDOWS OPERATING FILES? 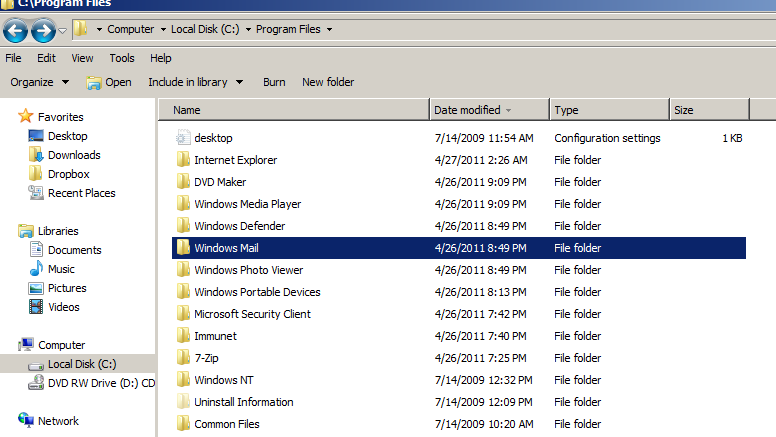 Programs you just yourself pointed out aren't installed in Win7. Programs PSI is saying are FINE! Why do I have a feeling this thread will get deleted, like 100 of it's predecessors (on so many industry forums where people are more interested in protecting the illusion of their software functionality, than improving it)? Thank god for screenshots amirite? 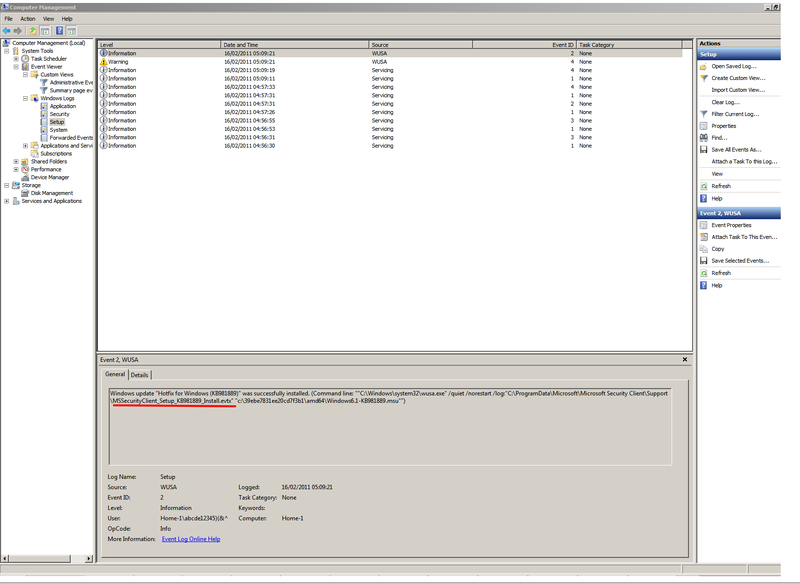 Could I not implore you to look at some installation logs first? From my WINDOWS 7 ULTIMATE Operating System? Perhaps you might change your mind - which ones do you want me to post and where shall I post / send them? There are many, and I need help reading them. But it doesn't take Einstein to figure out there are big BIG problems, just glancing at them. Glancing and the fact that I'm on my 4th of 4 systems. The other 3 have died completely. I have literally all the information you require to confirm I am not lying about a thing. Just tell me what you need and I will deliver it. What U have sent me has nothing to do with PSI giving U the wrong information. U have disabled all the Microsoft Add-ons - of course U will get error messages if it calls on them to do something & U have elected to prevent that activity. Why have U switched them off? Did U do the necessary research on each one to ascertain exactly how they interact with the Windows OS? Which error message is scary? Why is it scary? Here is the program which I did not install, which does not come with Windows, and which PSI is saying is A-OK! There are some **clues** in that screenshot that are more than enough to tell you something is very wrong. But I'm sick to death of helping out the experts who I'm politely asking for assistance. So you figure it out yourself. I've been helping experts without the slightest reciprocation for NINE WEEKS now. You figure it out, please. Just like I had to figure out ALL BY MYSELF that - no! - an Active signed Microsoft Hotfix deployed onto my computer with a deployment command line when Windows Update was DEACTIVATED, using Enterprise deployment functionality almost no one even knows about....is not, I repeat not, GOOD. 100's of experts, paid and unpaid. Who saw that evidence before I worked out BY MYSELF from looking at cbs.log files a month later, what was going on. 100's of experts who lied to me and swore black and blue that my systems were fine, even whilst hackers ran riot through those systems, and evidence was being supplied rapidly of that fact. 100's of experts, who CENSORED my polite threads to PROTECT their fraud and erase the shame of their incompetence. Or would you like to look at some cbs.log files? Just maybe, MAYBE, this coherent, perfectly sensible, polite gentleman telling you that you are insulting him with threats of censorship, just *might* be telling the truth. You know, considering the fact I've already posted the irrefutable evidence of that fact. And it's only 1/1000th of the evidence available. Anthony Wells RE: Winmail.exe x 2 :donotwant but BUILTIN Admin cannot delete. Wow !! Takes me back to the Magical Mystery Tours so much loved by my Liverpudlian mates . I think the PSI is telling you that WinMail is securely patched ; it is probably , like me , also wondering why you don't remember installing it . Must go , beddybyes calls . PPS: can you see the hackers' tracks within your system or have checked to see if you got any keyloggers installed in your hardware or wiring ?? 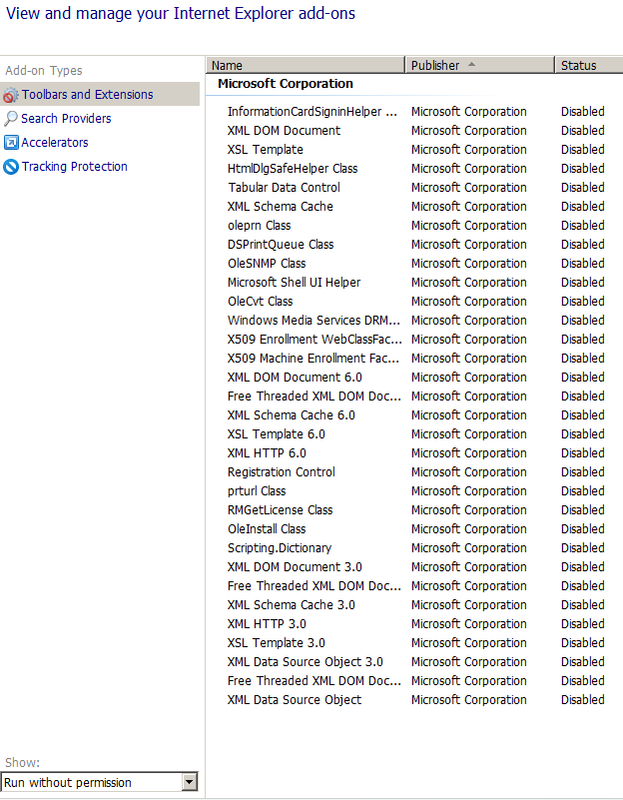 I disabled the Microsoft Add-ons because they were security exploits. Do you - know - what all those active, for all websites, actually...means? I disabled them immediately and then I didn't touch IE unless I had to, i.e. download Microsoft Security products which have a way of not working on other browsers (funny that). Funny because of the HIJACK, you see? The hijack that is those Add-ons ACTIVE for every website in the entire world. I have elected to prevent that functionality, yes. I switched them off because - unlike you - I have researched the exact nature of their functionality when they are active, for every website in the world. Why lol - would you think using IE interacts with Windows 7 aside from the fact that no alternative browser is supplied? 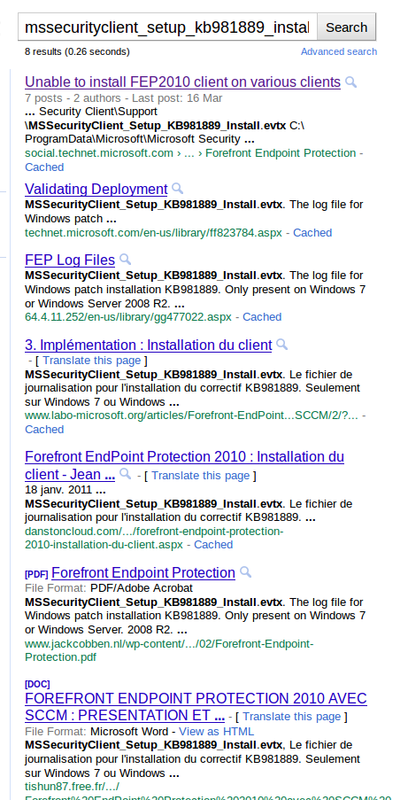 Why lol - would you read where I said "INSTALLATION LOGS" (or perhaps you don't know what a cbs.log is? In which case, I apologise and I'm really wasting my time here) and somehow think that the errors would be IE9 related? They are IE9 related, ironically. But only because those Add-ons are some of the attack vectors. But that has nothing to do with my Windows 7 Genuine Advantage installation logs...? 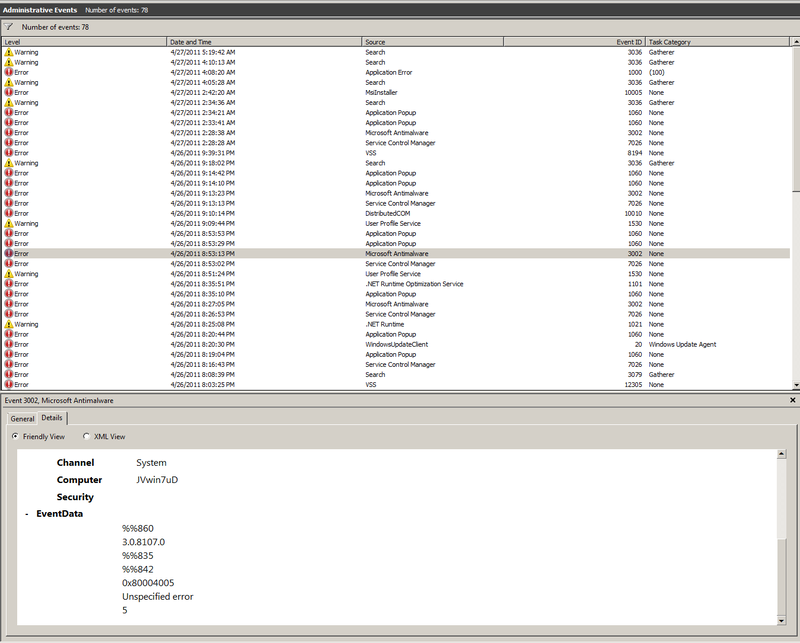 Here are my cbs.log files from a few hours ago, when I installed Genuine Advantage Win7 Ultimate onto a hard drive which had been low-level formatted 8 times. In a row. You think my PC is fine? I'll help you, if the 61,000 lines in 11 minutes don't strike you as strange. Press Ctrl-F. Search for "mail" See if you can't work out how the programs that PSI are saying are fine, got onto my computer. I'm sorry dude but I am TIRED. Literally and figuratively. If you're ignorant, that is no crime - I'm begging for your help. Just don't waste my time or insult me by pretending that you have a clue ***if*** you don't.